To send and receive messages through a Twilio channel, you'll need to create a Twilio account and purchase a virtual number and connect it to your Nyaruka account. 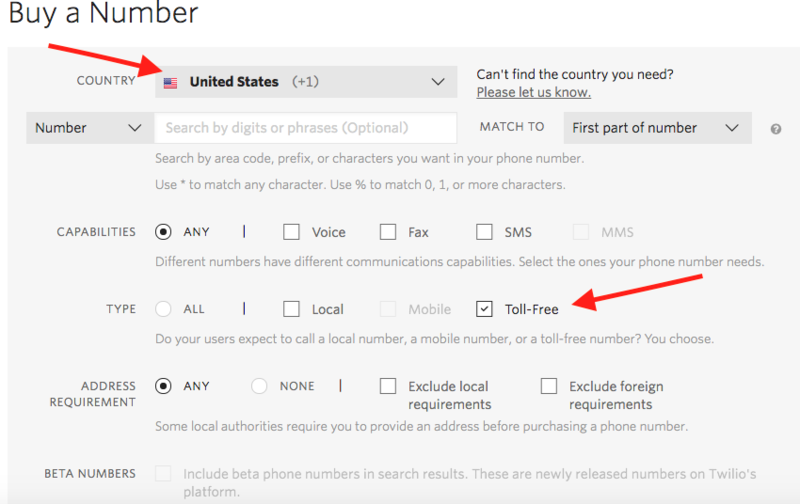 We recommend purchasing a toll-free number ($2/month) if you're deploying in the US or Canada. NOTE: Trial virtual numbers provided by Twilio are not sufficient for testing- they will not allow for sending or receiving real messages. If you'd like to test your flows prior to committing to a Twilio number, you can begin with an Android or Telegram channel. To purchase a toll-free virtual number through Twilio, you'll first need to sign-up for an account or sign-in to an existing Twilio account. 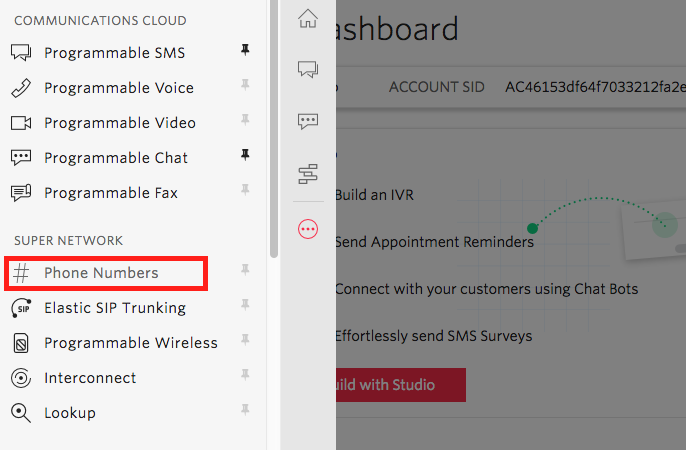 Once a number has been purchased, you'll need to connect your Twilio account to your account on our platform. You can do so by adding a channel, then selecting the Twilio option. Next, you'll be prompted to enter your Twilio account SID and Token.